While I may have stopped blogging the work never did. My advocacy just changed. Became more local. More in-person and face to face. So If you follow my social media accounts you already know that the Olson’s had a pretty awesome week. We watched the Patriots win the Super Bowl. We survived a blizzard. We celebrated the birth of a niece!! 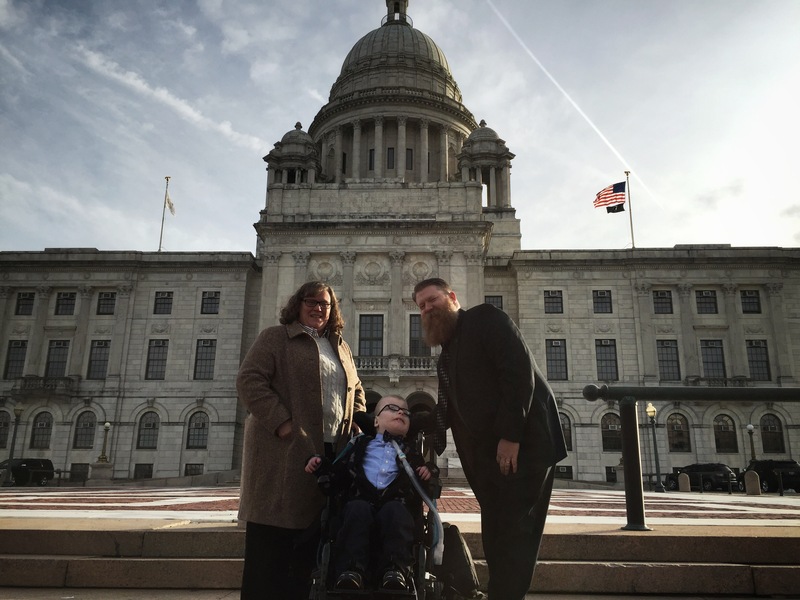 Oh, that’s right,… we also went down to the Rhode Island State House because we are going to change the law to help protect kids like Liam and their right to a free and safe public education. The short version, is that last summer the school department called us and said that effective the first day of school the one-on-one nurses that accompanied Liam to school for the previous 4.5 years would be unwelcome in the school and that they would be hiring a nurse to work as Liam’s nurse at school. This policy change puts Liam’s life in danger. Liam will be left with a stranger. We would not be given this nurse’s credentials or work history. We were not even afforded a chance to meet this nurse. (How do they know it isn’t a nurse we haven’t already fired from our home?) We are not going to leave liam with a stranger. CNA, LPN, RN, hell even MD. I do not care what letters are after their name. This policy also effectively takes away any home nursing support since it would leave us only a few hours of approved time after the school hours. A small enough number that no nurse would want a 1.5hour shift before school etc. (But what about snow days, what about school vacations. What about when the schools nurse calls out sick) Taking away our home nursing support puts our safety and stability as a family at risk. Anyway, within 24 hours of the phone call to tell us this policy change I had contacted the Principal, Supt. Of schools, all of my elected school committee members, the Governor’s director of Constituency affairs, my State Representative, My U.S. Senator, and Representative. (You don’t want to tangle with me.) Within 24 hours after that, my State Representative (who was my high school history teacher and is currently a friend) and I were emailing each other drafts of bills from other states that give the control over 1:1 nurses in schools to the parents of the medically fragile child not the school department and preparing to file our own law here in Rhode Island. Within 3 days of the phone call we had a meeting with the Supt. of Schools, and director of Pupil Services and were told that they would temporarily hold that policy change for Liam, but only for 1 year. 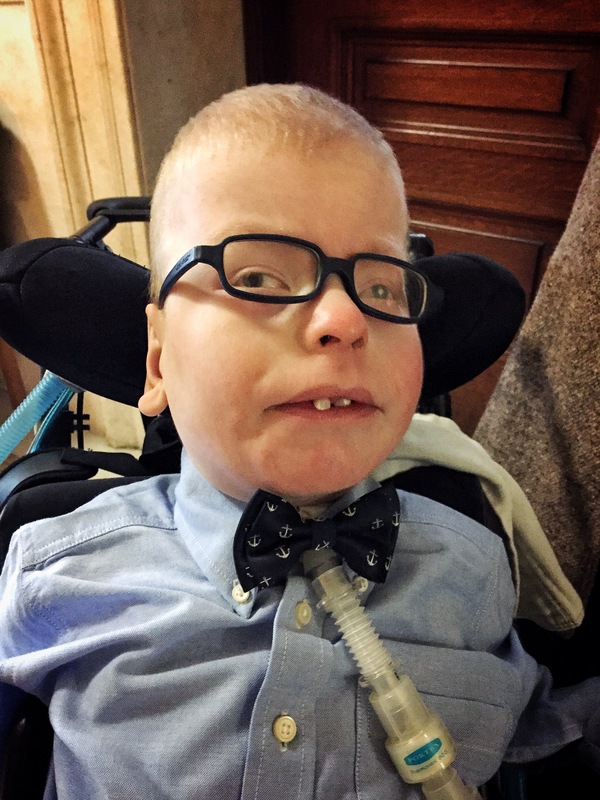 For 1 year, he would be able to use the nurses who he had always had with him in school. So they essentially started the clock on me. I had 1 year to change state law so that their policy could not change and so that no other families would have to worry about this. Again, I say, don’t mess with the Olsons. Last Wednesday, about 6 months after that phone call, we got to introduce that bill in the House Health Education and Welfare Committee. 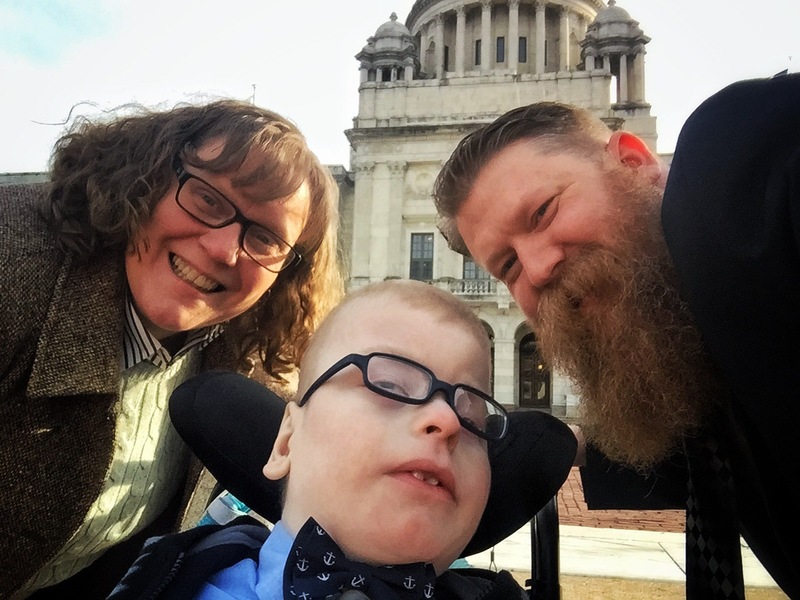 Liam, Karin and I all got dolled up and got together with a whole bunch of other families of medically fragile children and told our elected officials of State Government why the need for this bill is so dire. The experience was amazing. 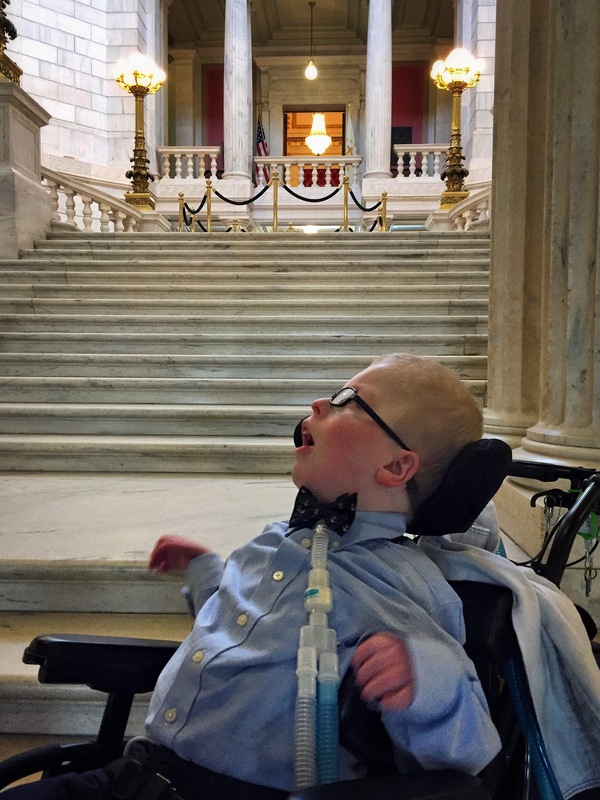 In addition to being sure that the legislature heard our voices on an important issue, Liam was welcomed and introduced and recieved a standing ovation on the house floor of the full session of the house of representatives. We were kind of a big deal. The work is far from over. In fact it is only beginning. 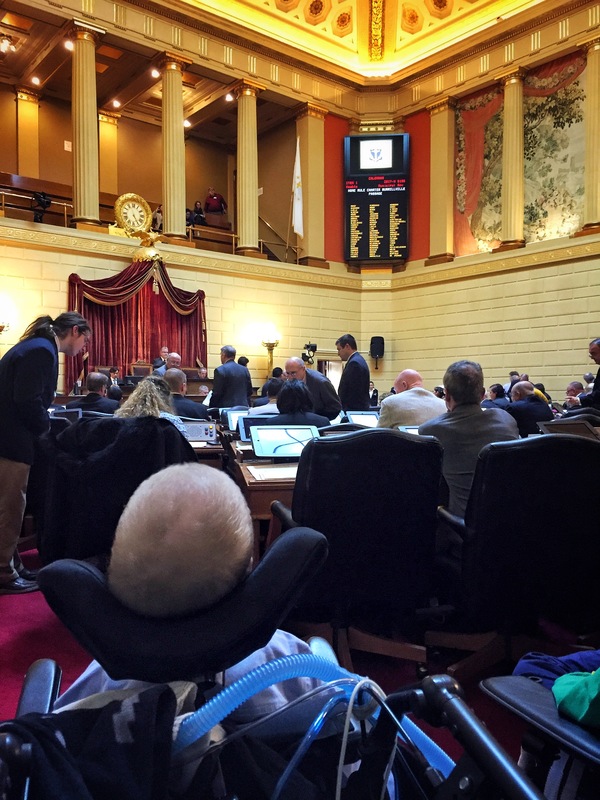 We will hopefully need to do the same thing again on the Senate side of the State House, and then the full vote and drumming support for that. It will be a lot of work. And if we win, we find another battle and start fighting again. Because as I told Instagram and Twitter on Wednesday, the night was restorative. It was visiting the State House to get my Citizenship in the Community merit badge as a 13 year old Boy Scout, all over again. It was my high school trip to Washington DC with the CloseUp program (where my history teacher and future state representative was a chaperone) to learn about how government works, all over again. It was remembering how many people it takes for local and state government to keep running and that most of them are only doing so to help the people around them in their community. I needed that. Because I will say that while I don’t know exactly how much it will be, my return to blogging will take on an even more political point of view from here on out. 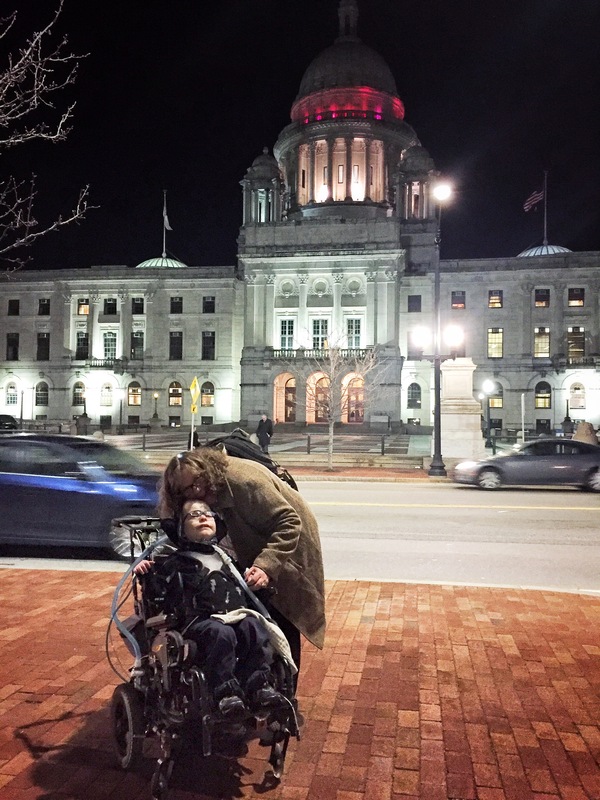 Through their statements, actions, and with the people they have nominated and confirmed for cabinet positions, the new administration and the GOP have shown how hard they plan on working, not only to take away Liam’s health care but also to deny him his right to a quality public education. They won’t do either without a fight from us.